Fully assembled and tested 4-way ASP.4 for for the LX521 Open Baffle Speaker. This is the most recent and up to date version for the LX521 design. 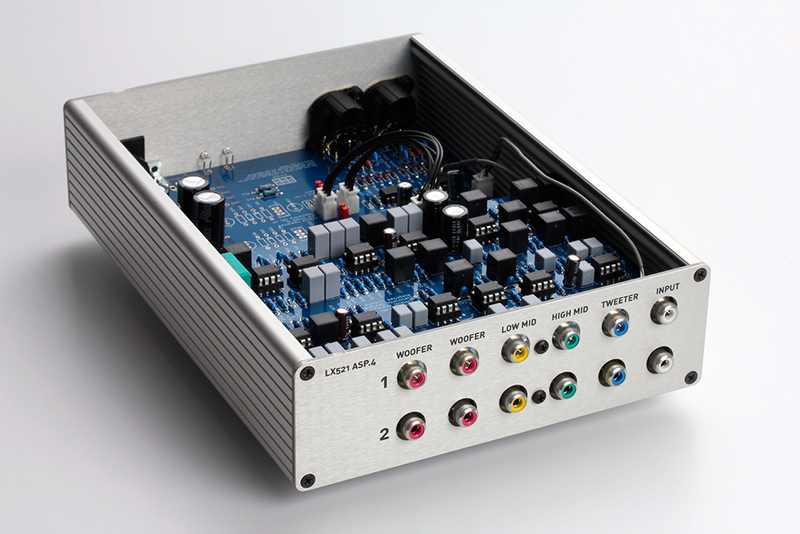 It can be used in place of the original 3-way ASP (which has a passive split between the midrange drivers), as well as the 3-way and 4-way miniDSP solutions. If building a new LX521 kit, this is probably the "best" option. There are two versions of this ASP, both funtionally identical. The Through-Hole version is assembled utilizing all through hole components. This is a more traditional labor intensive method and considered as a fully handmade device. It is also easier to modify if desired. 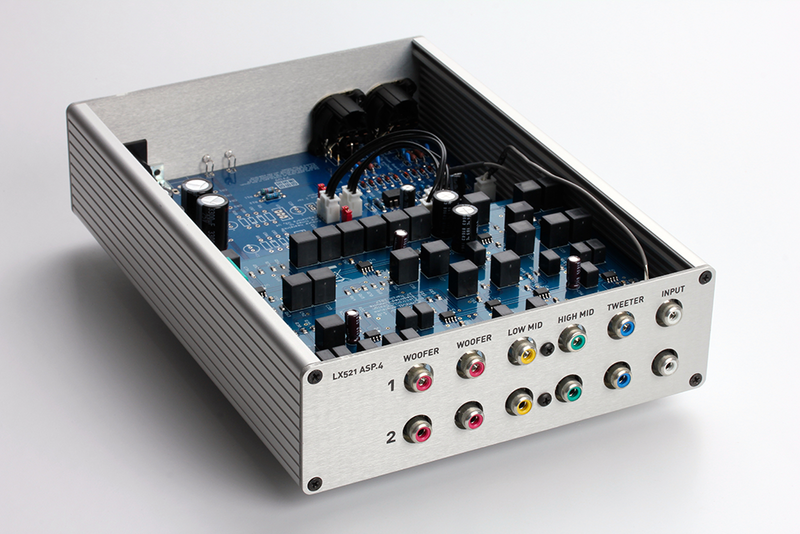 These units are a collaboration effort between PCB designer Mako Natsume and Seattle based Hairball Audio. Build and finish level are top notch. 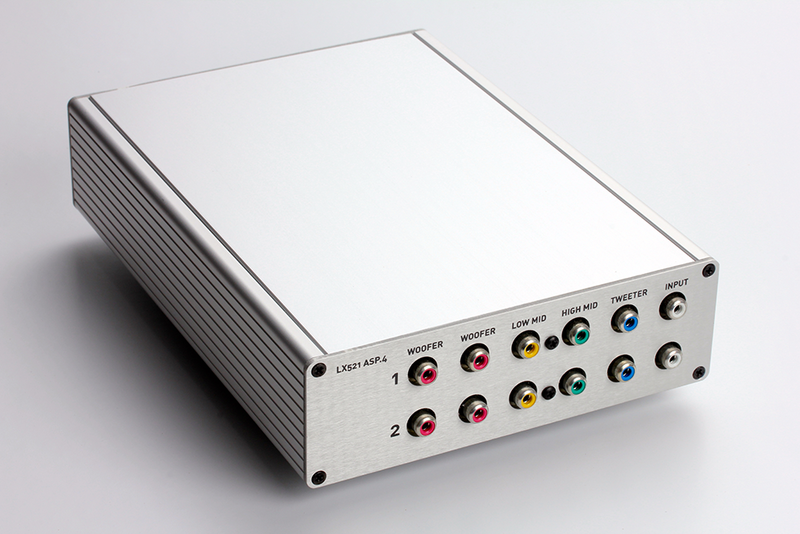 The ASP.4 can be setup for balanced or unbalanced inputs. We will do the initial setup based on your selection from the drop down menu. A nice feature is the ability to switch from one to the other if required through a relatively simply process. We will walk you through that procedure by phone or email if/when you need to make the change. A power supply is required. 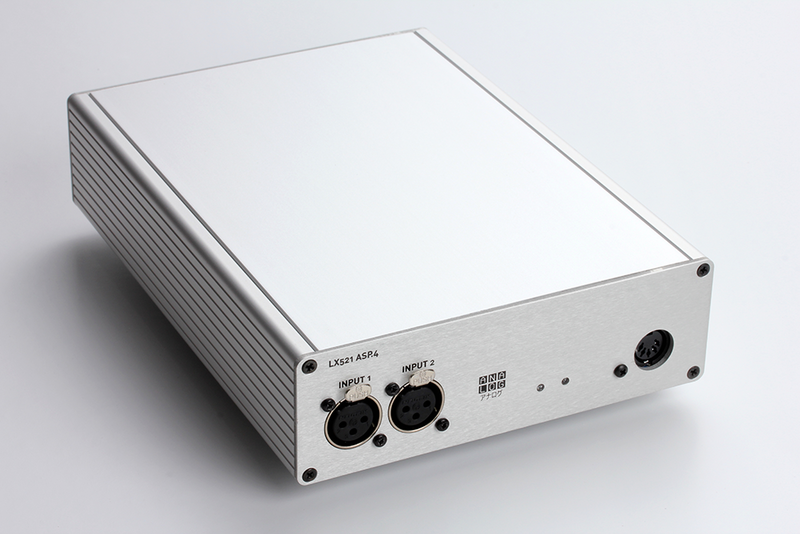 You can choose your own or purchase the Mean Well GP50A14E-R1B with your ASP unit from Madisound.